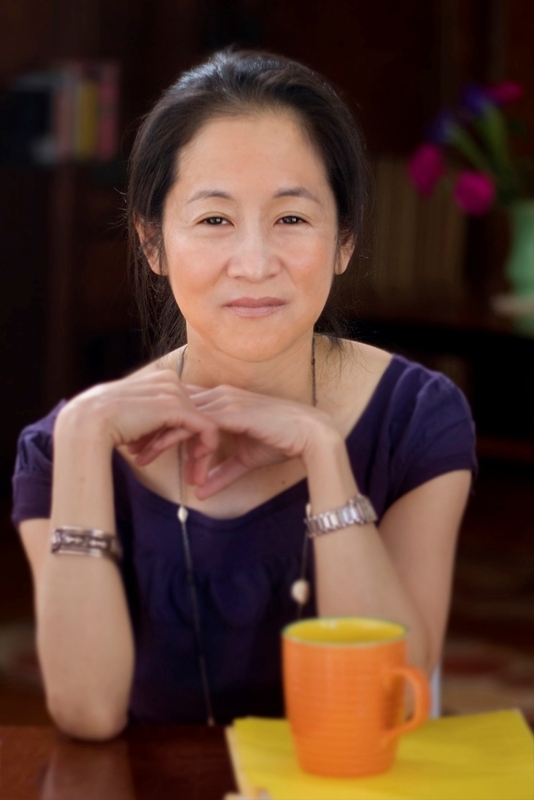 Julie Otsuka is a writer whose debut book, When the Emperor was Divine, is rapidly becoming a modern American classic. The novel, which tells the story of one Japanese American family’s internment during World War II, is based on Otsuka’s own family’s experience. The Emperor was Divine was a New York Times Notable Book and a San Francisco Chronicle Best Book of the Year. It has been translated into six languages, assigned to all incoming first-years at over thirty-five colleges and universities, and is a regular “Community Reads” selection across the United States. Her much anticipated second novel, The Buddha in the Attic, about Japanese “picture brides” coming to the United States nearly a century ago, won the 2012 PEN/Faulkner Award for fiction, was a New York Times Notable Book, was picked as a Best Book of the Year by The Boston Globe and Vogue, and was a finalist for the 2011 National Book Award and the Los Angeles Times Book Prize. She is the recipient of the Asian American Literary Award, the American Library Association Alex Award, and a Guggenheim Fellowship. Otsuka lives in New York City and is a devoted customer of the Hungarian Pastry Shop, where she has been coming to write every afternoon for nearly two decades. This conversation took place in the back of the café on an unseasonably chilly afternoon in May. You came to writing a little bit later in life. You started out as a painter. Yes. But I didn’t even do very much drawing until I got to Yale. It was this undiscovered talent that I had, actually. My first year at Yale I took a drawing class and I got an A+, and I’d never taken a drawing class before. So I ended up taking a lot of art classes and fell in love, at first, with figurative sculpture. And then I took a painting class and I loved doing that. Was writing in the back of your mind, or was that an unexpected discovery as well? No, no, I never thought that I would be a writer. Maybe I wrote stories when I was very young, but I wasn’t writing fiction when I was a teenager. I mean, what did I have to say? Even during my twenties, it took me a long time before I felt like I had a story to tell. It took me a long time to come to my material. What was the next step for you after graduating from Yale? I really wanted to go to graduate school for painting. So, I was waitressing, working on a portfolio. Then I started a graduate program in painting in Bloomington, Indiana. But I think it was a little too early for me to be going to graduate school. The pressure of having to produce was too much for me. So I dropped out after about three and a half months. It was very intense. Up until then, I had always been pretty prolific with my painting and very unselfconscious. But then, for the first time, I froze up. The workshop critique form, is that what did it? Yes. I had my first crit coming up and I just choked, I just couldn’t paint. I literally could not paint anything. It was awful. It was terrible. It was the first time that I ever really failed at anything. And I failed spectacularly. I couldn’t even make a mark on the canvas without swiping it away. So, I dropped out. The first time failing at something… Tell me about that whole experience. It was brutal. It was traumatic. It was really bad. I mean, I didn’t know what to do. So I came to New York and started temping. My best friend’s father was a classical music promoter so at first I worked for him, just for a few weeks. I was living with a couple, I was renting a room in their apartment. And they said – this was back in the day! – “You should really learn how to word process so you can make a good hourly rate.” I had always typed my papers on a typewriter so I didn’t know how to word process. So I actually went to the Betty-Owen Secretarial School in New York and I learned Multimate, which was one of the first word processing programs. And then I went to one temp agency, I think it was called Exclusively Word Processing. And they sent me to a first job at a company. I worked for that company until I sold my first book. Wow! How long was that? I started working for them in 1987 and I sold my book in 2001. I know. First I temped for them. After being in New York for a couple of months, I really wanted to paint again. So I enrolled in the New York Studio School. It’s a non-degree program but you go all day in school. I was temping full-time days at that point. When I decided I wanted to go back to school, the company where I was working was very happy with me so they bought me out of the temp agency. And I worked for them as a part-time employee. So, I was at the art school from nine to five and then I would go to work in the evenings. They would just leave work for me to do and I would pick up where the day ended. It was great. I did that for a long time. Alone in the office at night. I loved it, actually! It was really great. After two years, I hit that wall again and I stopped painting. But I was still working at that company. I was working in the marketing department of a construction company. First, it was just word processing. We would put out proposals when we were bidding on jobs. I would type up the handwritten text for the proposals. And then, after a while, I became a desktop publisher. We used a program called Quark. I would do layout for these proposals. They were slick books with photographs and all that. And I was really fast. After I stopped art school, I was still working for them part-time. For a few years, I would just come here [to the Hungarian Pastry Shop] in the afternoons and read and then go to work in the evenings at the office. So even when you were no longer painting during the days, you continued to work nights? Yes. I loved it. And they had a need to pass on work to somebody at the end of the day, so it worked. First it was on Park Avenue South on 27th or 28th Street. Back then, leaving at night, it was kind of shady. And then, later, they moved to the MetLife Building. That always felt safe, coming out of Grand Central. I loved working at night. Wait, back up. How did that come about? I stopped painting. I was 27. For a couple of years I didn’t know what to do with my life, but I had this job. So I would just come here, to this café, and that’s when I started reading. I had never read contemporary fiction before and I didn’t know anything about short stories but I discovered them and loved them. Were you a reader before or did someone give you a book that got you started? I just started going to the Strand Bookstore obsessively. Just wandering around. I didn’t even know who was who, which was kind of great. Yeah. And one of the first people that I stumbled across was Lydia Davis, Break It Down. I had no idea who she was. But I just loved the style and the stories. So I would come here every day and I would read. I would sit in that corner over there [points]. I can’t sit there anymore because at the time I was very depressed. I felt like an utter failure. But somehow, when you’re reading, it takes you really out of yourself for a while. I like to really focus on something and it made me feel better to read. It got me out of my head and it was interesting to read these stories. After a couple of years, I just thought I would try my hand at it. But not with the intention of being a writer, just because it was something to do and I felt at loose ends. So I just signed up for a writing workshop and I liked it. How did you find the writing workshop? It was recommended to me by an ex-boyfriend. His friend was teaching one of the workshops, so I signed up. It was the Writer’s Studio, which was headed up by Philip Schultz, and still is. It was great. I just took those workshops for a couple of years. When you went to graduate school for painting and had to face critique, you froze up. The same thing didn’t happen in the writing workshop? No, it was perfect for someone like me because it was all exercise based. You can’t fail an exercise! You would do two pages at a max – just a two-page piece in the style of something. Two pages, you know? You can’t choke up. You can’t even write a short story in that short of a space, so it wasn’t about that at all. It was a good place to learn naked craft with no pressure at all. And I feel more comfortable, I think, with the medium of language, of words, than I do with the medium of paint. It just came to me more easily. I’m not sure why. It wasn’t as scary to work with words as it was to work with paint. With writing, you can save drafts. When I was painting, I would sketch out a beautiful draft and then I would just lose it. With painting, you can’t go back and get what you had. Whereas with writing you can. After a couple of years, I went to Columbia [for a Master of Fine Arts in Writing]. At that point, the company laid me off. And then they hired me back to work as a freelancer. I continued to work freelance and I would go into the office in the evenings, so my schedule was pretty much the same as before. I was working all the way through graduate school. It was a lot. That feeling that you had when you used to sit in that corner [points] which you will not return to – was the feeling of failure you felt all internal, or did you have external pressures as well? I think it was internal. I never felt like I was comparing myself to anyone. How did your family feel about your choice to pursue an artistic path? They were really hands off, I don’t know if they thought it was good or bad. A lot of writers I’ve spoken with have had to deal with pressures from home, parents sending them law school catalogs, things like that. Oh no! My parents never told me what I should or shouldn’t do, and I’m grateful for that. They never put any pressure on me to do anything else. Maybe that is the advantage of having slightly immigrant parents. My father is an immigrant, my mother was born in this country. Even when I was applying to colleges they had no idea why I’d want to go to Yale. They just really didn’t know anything, which was kind of freeing in a way. It was up to me to figure out the system. They couldn’t really give me advice on how to live my life in America so I kind of felt like I was on my own. Where did you live during your early New York years? I have always lived in this neighborhood [Morningside Heights]. I’ve always had my own place, I don’t think I could do roommates. I moved to New York in 1987, and it was a lot easier back then. But this area would have been very different from the way it is now. So different. The crack years…this whole neighborhood has changed a lot. I have always loved it, and I think that’s why I’ve stayed in this neighborhood. Another reason I don’t leave is because of this café. Well, it’s almost like a good luck charm at this point. You can’t leave now. I’ve never really found another place like it. I mean, do you know of any other place like this? Wherever I travel, I’m looking for places where I can work, but I’ve never found a place like this. It’s special. It has to do with its permissive attitude. You can really sit here all day with your endless cup of coffee. No one would ever pressure you to buy more or ask you to leave. You can sit for hours. And there’s no music. And no wireless. But I don’t bring my laptop, anyway. I do write longhand. And then I go home and type up what I’ve written and print it out so I’ll have the latest version of whatever I’m working on. I’m very slow. Why do you write by hand? I think it’s a generational thing. I like the way it feels and it’s what I’ve always done. If I have to do something quick, I’ll do it on the computer. But I’m so slow. I write word by word, sentence by sentence. The speed of which I write matches the speed of my brain. Have your work habits changed over time? Well, you’re still here, in this café, of course. [Laughs.] My work habits are pretty much the same and the way that I compose is pretty much the same. I mean, occasionally I will compose on the computer and I do a lot of research at home on the computer, but I prefer to come here to do my actual writing. Speaking of research, is that something you have always done for your writing? No, when I started Columbia I didn’t think of myself as being a serious writer. I was writing funny stories set in New York in the present that were pretty autobiographical, so I didn’t have to do any research. Even when I started my first novel I didn’t think I would need to do a lot of research, but then I realized that there was a lot I didn’t know. So then I went back and started doing a lot of research and for this last book [The Buddha in the Attic] I did a ton. I had to learn so much about these different worlds. I do. The stories that I ran across doing research were just infinitely more interesting than anything I could’ve come up with. Tell me about your publishing trajectory. Were you sending stories out while you were in graduate school? I may have sent a couple of them out, but they were rejected. Then I met my now agent. I met her through a classmate who was in workshop with me at Columbia. She told me she thought her agent would be interested in my work. At that point, it was a little early. But I called her and we talked. I sent her two of my stories that were part of my first novel. She was interested, but it took me three more years to finish the book after that talk. Every time I finished a chapter, I would send it to her. But it might take me a year to write a chapter. Tell me about that process of publishing your first book. It happened slowly. My agent said she would represent me halfway through, but of course that was contingent on me finishing the book. Everything I would send her, she was happy with. So it was actually a great way to creep up on publication. By the time I finished, I was finished. I am pretty meticulous and the prose is pretty clean. It sold quickly, it was sent out on a Friday and they made us an offer on Monday. That is always so crazy. You work on something for five years and then, BAM, the deal is done over a weekend. Do you remember where you were when you got that phone call? Yes, I remember getting the call from my agent. I think I was at home. She told me which editor wanted to buy it and I was like, “Okay. Yes. That sounds good!” [Laughs.] It happened so fast, you know? It kind of throws you off. When the book came out, it was a big success. Was it difficult to begin the next project after that? It was. Now what? It took about a year of floundering. It was actually a very unnerving year. I kept changing story ideas but nothing seemed to be adding up. And then, after that year, I sat down at my desk and I realized all of a sudden that if I configured everything I had been sketching out in a different way, I could see the arc of the book. And, also, finding the right voice. Finding, literally, the first sentence. But it took me a year of panic to get there. Were you still working at your job as a desktop publisher? No. I probably would have been if it had been up to me, but they were changing a lot at that time. They had been bought out by an Australian company and had new management. And, also, after 9/11, the construction industry came to a standstill. So, for the first time, there was no work. But since I had just sold a novel, I was able to live for a while. Then I got a Guggenheim in 2004 and then gradually schools starting picking it [When the Emperor was Divine] up as an early freshman read, and it was picked up by Seattle as One City Reads. It had a weird slow build up, but those city reads and freshman reads let me be on the lecture circuit so somehow it has worked out so that I don’t have to go back to the office. Yeah! But it’s kind of scary. Now it’s been more than ten years. But you keep up some of your routines by coming back here. Yes! Every day, if I’m not traveling. So in many ways my life is the same since I came to New York – except that I don’t have to go to the office. Looking back, was there some major early hurdle that almost made you give up? Failing at painting. When I started writing, it was so good to have already failed at something else because the stakes were really low. Also, I didn’t start writing with the intention of being a writer – it was just something I wanted to do. And I was older, so my attitude was different. It was play. It was fun. I didn’t feel so intimidated by writing just because…my first love was really painting. It was what I wanted to do all throughout my twenties. When I came to writing I was older, I could think, “I’m me. If this doesn’t do well, it’s not a disaster. I’m still me.” As you get older, it’s just like, whatever happens, happens. Right. People are looking at you. But for some reason they are look afterwards. There’s this time lag. They weren’t looking at you when you were doing the writing. Especially when writing the first book, nobody even knows you exist. It’s a very private space. I was pretty invisible. I would just come here and do my thing. We talked a little bit about your family before. How did they feel about you publishing books? Your first book is based on your family’s story, so it hits pretty close to home. Everything is about my mother in some way. My mother was ten, like the girl in my first book, when she was sent away to an internment camp. And my first book is very much based on her family and what they went through during the war. I don’t know why it took so long for me to come to that subject. I didn’t start writing about the war until my second year at Columbia. I guess I thought that when I started writing I could just mine my mother for information but she was, at that point, in the early stages of Alzheimer’s, so that is why I had to do so much research. When I finished my first novel it was a little too late for my mother to read it. She was still pretty lucid, but she couldn’t really read. By the time I finished my second one, she was in a nursing home and she hadn’t spoken for a couple of years. But I think they’re happy. All my older relatives who were interned during the war have been really supportive. Right. And also a story that hasn’t been told that much, which is odd. It is, after all, one of the great American traumas. Right. Why am I one of the first to do it? It seems like a pretty obvious story for someone like me – a daughter of a former internee – to tell. But I don’t know where those other versions are. Anything you would whisper in the ear of your twenty-something self? It’ll get better. My twenties and thirties…those were hard years. You’re just trying to become, and it’s so terrifying, you don’t know if you will ever amount to anything. Those were very anxious years for me. Oh yeah! I’d say, just don’t worry about the market. Tell the story that you need to tell. And don’t rush. You only get one chance to make a debut so you might as well make it as good and perfect as you can. Read a lot. Don’t beat yourself up. Just do the work. I guess when I was younger I thought that if I could be a really good painter, then I would be successful. Not necessarily a painter who sold. But for years there was this kind of painting I wanted to make that I was seeing in my head. If I could have done that, technically, if I could’ve made the kinds of paintings I wanted to make, then I would have felt like a success, I think. I really do. To be constantly immersed in your work. When you decide to write a book, you have to create a world that is big enough and compelling enough to hold you for a few years. I hope my next book is going to be really different from my other two books, and if I finish it, I will feel as though I have succeeded. It’s internal. When I finish something – and I’ve only finished something twice! – it’s usually what I wanted it to be. That, to me, is success. So I guess it’s all in artistic terms. That is the same, really, as the idea you had of success when you were younger: to take the image or idea of what you want to do that you have in your head and then actually be able to translate it to the page. Yes. With the two books, I was able to make the picture I was seeing in my head. This entry was posted in Writers and tagged Asian American Library Award, Astri von Arbin Ahlander, City Reads, Guggenheim Fellowship, Julie Otsuka, The Buddha in the Attic, The Hungarian Pastry Shop, When the Emperor was Divine. Bookmark the permalink.